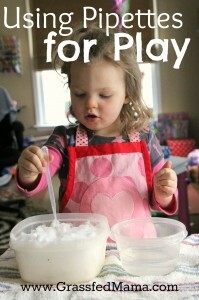 I’m always trying to find new ways of letting Aidalyn learn and discover through play. I saw these pipettes at my naturopaths office and thought that they would be so much fun to play with at home. I ordered a huge pack from Amazon and have been having fun learning all the fun ways you can use pipettes for play. They are a pretty cheap art supply to keep around for when you want to pull out a fun afternoon activity. Today, we gathered some snow and had fun melting it using our pipettes filled with water. 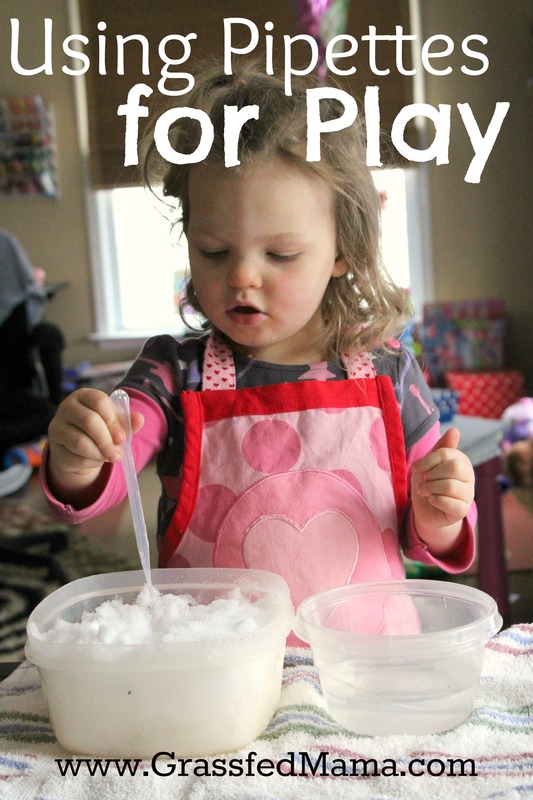 You can add food coloring or a little water based paint into the water to make fun colors in the snow too. It was such a simple activity and Aidalyn played with it for forever without getting bored. These are great for fine motor skills. I gave Aidalyn a mini muffin pan for her to fill up each muffin cup with water using her pipette. She loves play activities using water too. What could be more fun than playing with snow? I enjoyed bringing the snow inside for play, because it is very cold outside. This was a great activity for using her fine motor skills while having fun. Here is a way to make homemade food coloring using foods. 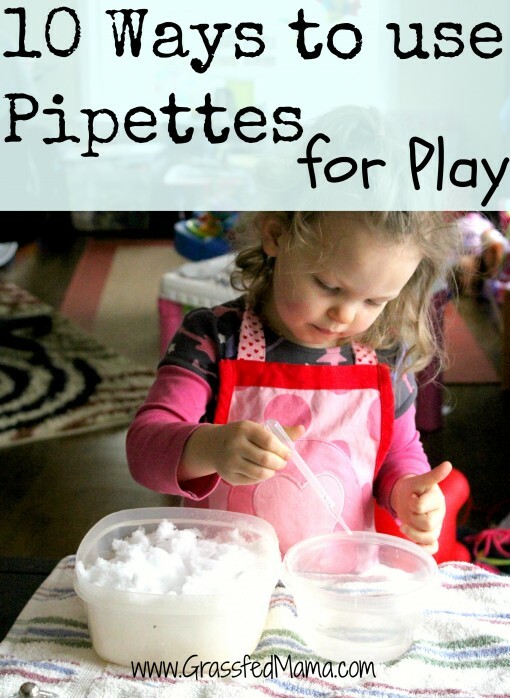 Have you used pipettes before with your kids? What are your favorite indoor play activities?